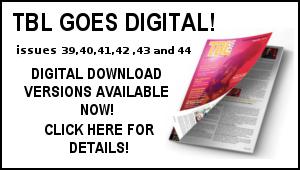 The NEW TBL T-Shirt: Available now at a bargain price! 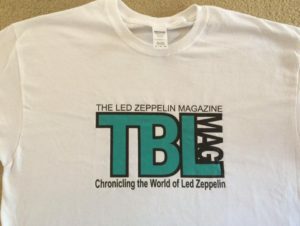 This is a two colour white Gildan heavy cotton T-shirt depicting the new TBL Mag logo and slogan The Led Zeppelin magazine – Chronicling the world of Led Zeppelin ’’ – black wording and turquoise rare Led Zep I colouring on a white T-shirt. 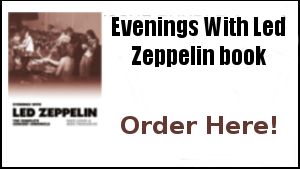 Note – some sizes ordered will be made to order and will take slightly longer to process – delivery time will be advised. 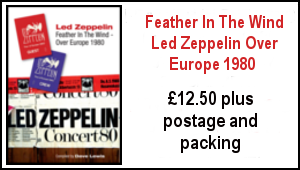 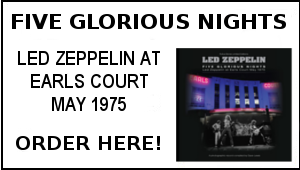 Please note – orders are print on demand and in some overseas cases can take up to 28 days delivery.